Beware of a bad trip -- Lover's Acid is Luke Vibert on autopilot. Should an album exist just because an artist happens to have enough material to create one? 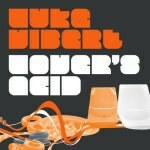 Such a dubious raison d'être seems to be plenty for Luke Vibert and the usually pretty neat Planet Mu record label, the parties responsible for Vibert's latest full length, Lover's Acid. Lover's Acid is a compilation of the three 12" EPs that Vibert has recorded to date for Planet Mu, the most recent of which is also called Lover's Acid -- evidently, coming up with a new name for the compiled work would have been too much of a strain. Vibert's work for Planet Mu has all been in the realm of 'acid', an electronic subgenre that features funkier beats than the typical four-on-the-floor of techno and squelchy sequencer noises which generally betray a gradual turning of the 'decay' knob. As such, there are lots of sequenced synth lines that go from soft tones to distorted, ugly tones and back again without a change in the notes or rhythm being played; only the timbre is adjusted. Honestly, it's a neat trick the first time around, as the somewhat subtle, slow shifts in sound can have a profound effect on the intensity of the melody. As the disc wears on, however, the effect gets old, and it's hard not to wish there was a little more filling in this particular acid pie. Most of the strongest work on Lover's Acid is actually from 2002's Homewerk EP, most notably the back-to-back placement of "Acid 2000" and "Come On Chaos". "Acid 2000" is a fantastic little sample-fest that actually pushes those squelchy sequencers into the mix a bit instead of putting them way out front and allowing them to dominate. This novel concept allows the listener to concentrate on the more interesting bits of the song, like the pulsing piano chords and the most excellent vocal samples culled from Indeep's "Last Nite a DJ Saved My Life". "Come on Chaos" is more like the rest of the tracks on the disc, but it has a quick tempo, a thick beat, and a menacing feel that recalls Orbital's "Satan" in spots. "Come on Chaos" is nothing groundbreaking, but at least it propels itself ahead with urgency, which is more than you can say for most of the tracks here. Case in point, the "new" tracks that also appear on the EP version of Lover's Acid are among the laziest of the bunch. The title track fools the listener into thinking it's going to be a discombobulating six-beat workout, but it eventually relaxes into a laid-back 4/4 that would be perfect for the chillout circuit. After establishing his beat and his sequencer line, Vibert is content to muck with them for five minutes, affecting small, subtle changes that are easy enough to hear, but don't very much have any effect on the mood of the song -- listening to it is like walking on a treadmill. Slowly. "Gwithian" tries to be creepy at times, but it gets lost in numerous pointless transitions that kill the mood with lack of sound. Even the album opener, "Funky Acid Stuff" (from the '95-'99 EP), doesn't manage to grab the listener with any kind of intensity. It grabs a generic funk beat (as evidenced by the title), tosses more of those confounded sequencers over the top, adds a few screams which may or may not be a highly pitch-shifted James Brown, and calls it a day. On the bright side, at least he's obviously having a giggle titling songs like "Prick Tat" and "Analord", the latter of which would be cuter if Richard D. James hadn't already used it for his latest projects. I'd be tempted to say that the blame for not enjoying Lover's Acid rests solely on myself for not finding much appeal in the genre -- the decaying sequencer is likely the mark of acid, and its constant presence doesn't do much for me. Still, when I find enjoyment in a song like "Dirty Fucker" (which wraps its acid in a straight-up techno blotter), I can't help but think that the rest of the album just sounds lazy, a bunch of songs that sound decent, released for the sake of releasing. The 12 tracks of Lover's Acid would have been better left as vinyl-only collector's items, for at least then, they would have carried with them some intrinsic value. As it is, this new CD is harmless, but also rather worthless.